What are the key elements of the framework for Iran nuclear deal with P5+Germany? How's it seen in the United States? What does it do for Iran-Israel rivalry? How will it impact Iran-Arab power equation in the Middle East? What does Saudi Arabia want from Pakistan? What role should Pakistan play in Yemen and the ongoing Iran-Saudi conflict in the region? Should Pakistan send troops to help the Saudis? Can PTI challenge MQM and win NA-236 by-election for the National Assembly seat vacated by Nabil Gabol in Karachi? ViewPoint from Overseas host Misbah Azam (politicsinpakistan.com) discusses these and other questions with Pakistan Television anchor Farrukh K. Pitafi in Islamabad and regular panelists Faraz Darvesh and Riaz Haq(ww.riazhaq.com) in Silicon Valley. Iran Nukes Deal; Pakistan's Yemen Role; MQM vs PTI NA-246 Contest from WBT TV on Vimeo. Will Saudi Arabia Change Peacefully? Pakistan won’t participate in the Saudi-led military offensive in Yemen but will help Saudi Arabia defend its own territory if necessary, Pakistani officials said Thursday, as the country tries to avoid falling out with either side of the conflict. “We can’t go into an offensive position,” a senior Pakistani official said. The statement showed the balance Pakistan is trying to maintain between placating Saudi Arabia, its long-term partner, and preserving ties with its neighbor Iran, which supports the rebels the Saudis aim to defeat in Yemen. Saudi Arabia has asked Pakistan’s military to join the nations supporting its efforts against the Houthi rebels in Yemen, but hasn’t yet asked for the deployment of soldiers for defensive purposes, said the Pakistani official. A plan to help secure the Saudi-Yemen border was being worked on, other Pakistani officials said. “Given the close historical cultural and religious affinities between the peoples of Pakistan and Saudi Arabia, it was reaffirmed that any violation of Saudi Arabia’s territorial integrity will evoke a strong response from Pakistan,” Prime Minister Nawaz Sharif said in a statement issued Thursday. “At this time, there is no threat to Saudi territorial integrity,” said Khawaja Asif, the Pakistani defense minister, who along with other officials visited Saudi Arabia this week. Pakistan has long been allied with Saudi Arabia, though in recent years Islamabad has also improved its relations with Iran, which plans to pipe natural gas to its energy-starved neighbor. The Saudis gave Mr. Sharif refuge when he was ousted in a 1999 coup. They also provided Pakistan with $1.5 billion after Mr. Sharif was re-elected in 2013 to shore up anemic foreign exchange reserves. The Pakistani military has close ties to Saudi Arabia, with some 1,000 Pakistani soldiers in Saudi Arabia on training missions. The Pakistani comments Thursday seemed at odds with a Saudi official state media report late last week, which said Pakistan had agreed to join the coalition. During a phone called between Mr. Sharif and Saudi King Salman, “the Prime Minister expressed full support for the Kingdom of Saudi Arabia in the Decisive Storm operation, stressing that all potentials of the Pakistani army are offered to the Kingdom of Saudi Arabia,” according to the report Saturday carried by the Saudi official SPA news agency. Pakistan has called a special joint session of parliament for Monday to debate its role in the Yemen conflict. Every major opposition party has voiced concerns over joining the Yemen operation, but they have also supported Pakistan coming to the aid of Saudi Arabia if it comes under attack. Imran Khan, leader of the third-biggest party in parliament, said the country should stay out of the operation. Pakistani ministers said in recent days that they want to keep Pakistan out of the sectarian war now raging across the Middle East. Like Saudi Arabia, Pakistan is a majority Sunni Muslim country. Although Shiites are a minority in Pakistan, making up an estimated 20% of the population, Pakistan has the second-largest Shiite population in the world, after Iran. Shiites in Pakistan have been the target of a continuing campaign of bombings and shootings by Sunni militants. The Pakistan Naval Ship PNS Aslat has left for Pakistan after successfully evacuating 148 citizens and 35 foreigners, including 11 Indians, from Mokallah, Pakistan's Foreign Office said. "Why Iranians Treat Pakistanis Badly?" Ali Reza Zakani said: "The Yemeni revolution will not be confined to Yemen alone. It will extend, following its success, into Saudi territories. 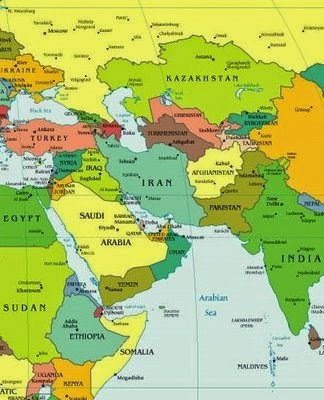 The Yemeni-Saudi vast borders will help accelerate its reach into the depths of Saudi land"
The Iranian Rasa News Agency quoted Zakani saying to the Iranian parliament that Iran is passing through the phase of "grand jihad". He pointed out that this phase requires a special policy and a cautious approach because it may lead to many repercussions. He said that Iranian officials should be informed as to what is taking place in the regional arena and acquaint themselves with political players that influence the region's states. He drew attention to the necessity of supporting movements that function within the Iranian revolution's framework in order to end oppression and assist the oppressed in the Middle East. Zakani went on to say that prior to the victory of the Iranian Islamic revolution in Iran there were two fundamental currents that constituted the American axis in the region, explaining: "there was Saudi Islam and Turkish secularism. But after the success of the Iranian revolution the political equation in the region changed in Iran's favour. Today we are at the peak of our strength, we impose our will and our strategic interest on everyone in the region." With regard to Yemen, Zakani considered the Yemeni revolution to be a natural extension of the Iranian revolution and predicted that 14 out of 20 Yemeni provinces will soon come under the control of the Houthis. Their influence will reach into Saudi Arabia itself. He said: The Yemeni revolution will not be confined to Yemen alone. It will extend, following its success, into Saudi territories. The Yemeni-Saudi vast borders will help accelerate its reach into the depths of Saudi land"
According to foreign experts, Israel has several hundred nuclear bombs (assessments vary between 80-400. If Iran sends its bombs and obliterates most of Israel (myself included), Israeli submarines will obliterate Iran. Whatever I might think about Binyamin Netanyahu, I rely on him and our security chiefs to keep our “second strike” capability intact. Just last week we were informed that Germany had delivered another state-of-the-art submarine to our navy for this purpose. Such convictions are the outcome of decades of demonizing. Iranians – or at least their leaders – are seen as subhuman miscreants. Reality shows us that the leaders of Iran are very sober, very calculating politicians. Cautious merchants in the Iranian bazaar style. They don’t take unnecessary risks. The revolutionary fervor of the early Khomeini days is long past, and even Khomeini would not have dreamt of doing anything so close to national suicide. According to the Bible, the great Persian king Cyrus allowed the captive Jews of Babylon to return to Jerusalem and rebuild their temple. At that time, Persia was already an ancient civilization – both cultural and political. After the “return from Babylon”, the Jewish commonwealth around Jerusalem lived for 200 years under Persian suzerainty. I was taught in school that these were happy years for the Jews. Since then, Persian culture and history has lived through another two and a half millennia. Persian civilization is one of the oldest in the world. It has created a great religion and influenced many others, including Judaism. Iranians are fiercely proud of that civilization. To imagine that the present leaders of Iran would even contemplate risking the very existence of Persia out of hatred of Israel is both ridiculous and megalomaniac. Moreover, throughout history, relations between Jews and Persians have almost always been excellent. When Israel was founded, Iran was considered a natural ally, part of David Ben-Gurion’s “strategy of the periphery” – an alliance with all the countries surrounding the Arab world. The Shah, who was re-installed by the American and British secret services, was a very close ally. Teheran was full of Israeli businessmen and military advisers. It served as a base for the Israeli agents working with the rebellious Kurds in northern Iraq who were fighting against the regime of Saddam Hussein. After the Islamic revolution, Israel still supported Iran against Iraq in their cruel 8-year war. The notorious Irangate affair, in which my friend Amiram Nir and Oliver North played such an important role, would not have been possible without the old Iranian-Israeli ties. Even now, Iran and Israel are conducting amiable arbitration proceedings about an old venture: the Eilat-Ashkelon oil pipeline built jointly by the two countries. If the worst comes to the worst, nuclear Israel and nuclear Iran will live in a Balance of Terror. Highly unpleasant, indeed. But not an existential menace. However, for those who live in terror of the Iranian nuclear capabilities, I have a piece of advice: use the time we still have. Under the American-Iranian deal, we have at least 10 years before Iran could start the final phase of producing the bomb. Indeed, this is plain speaking. China doesn’t buy the Saudi thesis of a hidden Iranian agenda to destabilize Saudi Arabia by inciting the Houthis of Yemen, nor does it see the Yemen conflict as a proxy war between Riyadh and Tehran or even as a Sunni-Shi’ite question regionally. Saudi Arabia’s sovereignty and territorial integrity has not come under threat. But it can, if the Saudis persist on the war path. The precipitate Saudi action is bound to produce a backlash at some point. From independent media accounts, the Saudi military operations are having no tangible effect on the ground on the Houthi’s march into Aden city. Meanwhile, the Houthis have put the Saudis on the defensive by offering talks. So have the UN agencies and Russia by requesting a “humanitarian pause” in the Saudi air strikes. More and more media reports speak of horrific civilian casualties (Al Jazeera). Even the cheerleaders among the neocons in the US or Israel would gurdgingly agree by now that it’s becoming a PR disaster for the Saudis. Hardly two weeks into the war, Riyadh seems to have bitten more than what it can chew. The Saudi demarche with Islamabad virtually seeks subcontracting the war to the Pakistani generals. But Pakistani Prime Minister Nawaz Sharif will do well to pay heed to the Chinese assessment. Read the Xinhua commentary here. Giving a breakup of the passengers on board INS Mumbai, Kar tweetd: "#YemenEvacuation 441 evacuees on board INS Mumbai - Male 240, Female - 121, Kids - 80." Giving a breakup of the foreign nationals, he posted: "Foreigners break-up. Hungary 4, Yemen 93, UK 24, Russia 2, France 8, Egypt 19, Nepal 1, Canada 2, Lebanon 3." "Sri Lanka 1, Morocco 1, Syria 2, Jordan 5, Italy 1, Romania 2, Sweden 5, USA 3. Total- 176." Meanwhile, Minister of State for External Affairs V.K. Si ..
"Humanitarian gesture - Indian Navy evacuated 3 Pak nationals from Hodeida by INS Sumitra. Pakistan brought 11 Indians from Makala,"
Iranian MP Alireza Zakani has at least 12 tough questions for Iranian Foreign Minister Mohammad Javad Zarif when he reports on Sunday to present the principles of the framework nuclear agreement. Zakani, an expert on nuclear medicine and a professor at Tehran University, publicized his questions on Mehr (Iran’s version of YouTube). Among other things, he wants to know all the details regarding the precise interpretation of the cessation of work at the Fordo site; what will be implemented in Natanz; and, mainly, what “red lines” the Iranian negotiating team violated in order to reach an agreement. Zakani belongs to the conservative wing and a few months ago declared, “After Yemen, it will be Saudi Arabia’s turn.” However, he is not the only one who has been systematically criticizing the negotiations and the agreement reached by Iran and the six world powers last Thursday. These words of criticism, which are very similar to what is being said by the Israeli government or Republican members of Congress, are, for the time being, slipping on the fortified wall of support granted by Supreme Leader Ayatollah Ali Khamenei to the agreement and negotiating team. The spontaneous public joy that greeted the negotiating team on its return from Lausanne, and treated Zarif like a conquering hero returning from the battlefield, also makes it clear to opponents of the agreement that their efforts to prevent it are liable to encounter an undesirable reaction in the street. In fact, the problem does not lie in selling the Lausanne declaration to the general public, but in convincing the radical elites and Iran’s Revolutionary Guard – who oppose the future agreement for ideological and political reasons. After years when the nuclear program was presented not only as the realization of Iran’s natural right but as a central foundation of national dignity, the Lausanne declaration is now seen as a concession to the West, and mainly to the United States. In the political context, the radicals are afraid that the nuclear agreement, if fully agreed and ratified by the end of June, will be of huge help to the supporters of President Hassan Rohani and reformist movements in the parliamentary elections scheduled for February. There are two varieties of indirect warfare. The first is supporting native forces whose interests are parallel. This was done in the early stages of Afghanistan. The second is maintaining the balance of power among nations. We are seeing this form in the Middle East as the United States moves between the four major regional powers — Iran, Saudi Arabia, Israel and Turkey — supporting one then another in a perpetual balancing act. In Iraq, U.S. fighters carry out air strikes in parallel with Iranian ground forces. In Yemen, the United States supports Saudi air strikes against the Houthis, who have received Iranian training. This is the essence of empire. The British saying is that it has no permanent friends or permanent enemies, only permanent interests. That old cliche is, like most cliches, true. The United States is in the process of learning that lesson. In many ways the United States was more charming when it had clearly identified friends and enemies. But that is a luxury that empires cannot afford. We are now seeing the United States rebalance its strategy by learning to balance. A global power cannot afford to be directly involved in the number of conflicts that it will encounter around the world. It would be exhausted rapidly. Using various tools, it must create regional and global balances without usurping internal sovereignty. The trick is to create situations where other countries want to do what is in the U.S. interest. This endeavor is difficult. The first step is to use economic incentives to shape other countries' behavior. It isn't the U.S. Department of Commerce but businesses that do this. The second is to provide economic aid to wavering countries. The third is to provide military aid. The fourth is to send advisers. The fifth is to send overwhelming force. The leap from the fourth level to the fifth is the hardest to master. Overwhelming force should almost never be used. But when advisers and aid do not solve a problem that must urgently be solved, then the only type of force that can be used is overwhelming force. Roman legions were used sparingly, but when they were used, they brought overwhelming power to bear. I have been deliberately speaking of the United States as an empire, knowing that this term is jarring. Those who call the United States an empire usually mean that it is in some sense evil. Others will call it anything else if they can. But it is helpful to face the reality the United States is in. It is always useful to be honest, particularly with yourself. But more important, if the United States thinks of itself as an empire, then it will begin to learn the lessons of imperial power. Nothing is more harmful than an empire using its power carelessly. The current balancing act in the Middle East represents a fundamental rebalancing of American strategy. It is still clumsy and poorly thought out, but it is happening. And for the rest of the world, the idea that the Americans are coming will become more and more rare. The United States will not intervene. It will manage the situation, sometimes to the benefit of one country and sometimes to another. The news media, which previously treated the party (MQM) with caution, has aired criticism of the party. (Among those arrested was a Muttahida supporter charged with the murder of Wali Khan Babar, a prominent television journalist who was shot dead in his car in 2011.) And in the city’s political back rooms, senior Muttahida officials have begun to quietly consider the possibility of a new leader — an unthinkable idea until recently. “The fear factor is gone,” said a senior party official who, like several others, spoke on the condition of anonymity out of fear of retribution. The moves against Muttahida are part of a broader effort to stem a cycle of political and criminal violence that has left Karachi prone to Taliban infiltration in recent years. Militants disrupted election campaigning in 2013, leading to a crackdown that has broken several Taliban cells, according to police officials and ethnic Pashtun community leaders. Now the authorities have turned their attention to the armed wings of the city’s political parties, of which Muttahida is by far the largest. But few are writing off Mr. Hussain, a wily political player with a long record of survival, just yet. For much of the 1990s, Mr. Hussain’s supporters waged a street war against the security forces in Karachi, only to ultimately re-emerge stronger than ever. Since then, he has enjoyed unquestioned support from the city’s Mohajir population — mostly Urdu-speaking families that migrated from India in 1947 — by playing on their sense of grievance at the hands of local ethnic groups, creating a magnetic cult of personality in the process. This time, however, the challenges also come from within. Mr. Hussain’s stewardship of the party has become increasingly erratic recently, several officials said. In addresses to party rallies in Karachi, delivered over the phone from London (his usual mode of communication with the party faithful), he frequently appears to be under the influence of alcohol, they said. During one lengthy tirade on March 30, Mr. Hussain publicly resigned his leadership and urged his followers to take up charity work, only to reappoint himself hours later. “We never know if it’s going to be happy hour or sad hour,” said one senior official who privately advocated a change in leadership and spoke on the condition of anonymity. To many, it seems clear that the Pakistani military, which has a long history of meddling in politics, is trying to engineer a change in leadership. Journalists say the videotaped accusations from Mr. Mirza, the death-row convict, bore the hallmarks of a military intelligence operation. In political circles, the army has started to take informal soundings about a possible successor to Mr. Hussain, the same party official said. “They want to keep the M.Q.M., but without Altaf or anyone directly associated with violence,” he said. Mr. Hussain looked unsteady as he pushed through reporters at the entrance to the London police station on Tuesday. He has said a large sum of money found at his house — about $650,000, party officials say — came from legitimate political donations. Pakistan has played a pivotal role in determining the outcome of the current crisis in Yemen. Pakistan's role of direct involvement with the Middle East is not usually the subject of much comment. Now there is reason to believe that Pakistan has played a pivotal role in determining the outcome of the current crisis in Yemen. In the 1970s and 1980s, when many Gulf countries, flush with oil money, purchased state-of-the-art military hardware, they had also to buy the technical expertise and the training to operate it. They looked to the nearest Muslim country with the capacity to provide this – Pakistan. Over the years scores of Pakistani army and air force personnel have been posted to Middle Eastern countries including Saudi Arabia, the United Arab Emirates (UAE), Bahrain, Qatar, Jordan, Syria and Iraq. Pakistani naval officers also served in UAE, training local naval forces. More recently, the turbulence affecting the Middle East has brought Gulf states even closer to Pakistan. External and internal threats have resulted in bilateral agreements between Pakistan and individual states that have provided security cover for them – for example, the recent military exercises conducted jointly by Pakistan and Saudi Arabia. The Saudi-Pakistan relationship may go even deeper. There are reports that last year King Salman of Saudi Arabia – then Crown Prince – visited Islamabad and provided Pakistan with a $1.5 billion grant towards its nuclear programme, the other half of the deal guaranteeing the Saudis a nuclear weapon when, or if, needed. This special relationship might have been expected to result in strong Pakistani support for Saudi Arabia’s recent military involvement in the chaos that is tearing Yemen apart. With the Houthi rebels installed as an interim government, the legitimate President, Abd Rabbuh Mansur Hadi, fled to Saudi Arabia. The Saudis, exasperated by Iran’s continued support for the rebels, instituted a series of air strikes against them in an operation it dubbed “Operation Decisive Storm”. At the same time it mustered a coalition of ten Middle East states that agreed to form a fighting force to defeat the Houthi take-over in Yemen and restore President Hadi to office. To support this effort, Saudi Arabia called on Pakistan to contribute troops, a warship and aircraft to its coalition forces. The first response of the Pakistani government was to agree to join the coalition, and to offer its assistance. This reaction must have sent shock waves through the Iranian leadership. If Pakistan unleashed its formidable military capability against the Houthis, the Iranian-backed rebels could well be defeated. So Iran set in train a diplomatic effort designed to eliminate the possibility of direct Pakistani involvement in the conflict. The diplomatic counter-attack began with an invitation from Iran’s Supreme Leader, Ayatollah Khamenei to Turkey’s President Recep Tayyip Erdogan – on the face of it a surprising move, since Turkey had also initially declared itself in support of Saudi Arabia’s involvement in Yemen. Erdogan duly appeared in Tehran, no doubt wondering why the world’s leading Shi’ite Muslim state was seeking to hob-nob with the head of strongly Sunni Turkey. KABUL—When Abdullah, a Taliban commander in central Afghanistan, needs more rifles and ammunition, he turns to the same people who pay his $580-a-month salary: his Iranian sponsors. “Iran supplies us with whatever we need,” he said. Afghan and Western officials say Tehran has quietly increased its supply of weapons, ammunition and funding to the Taliban, and is now recruiting and training their fighters, posing a new threat to Afghanistan’s fragile security. Iran’s strategy in backing the Taliban is twofold, these officials say: countering U.S. influence in the region and providing a counterweight to Islamic State’s move into the Taliban’s territory in Afghanistan. The Taliban’s aggressive military push and the new momentum toward peace negotiations between them and Kabul also raises the possibility that some of their members could eventually return to power. Iran’s alliance with the Taliban took a new turn in June 2013 when Tehran formally invited a Taliban delegation to participate in a conference on Islam and to meet senior Iranian officials. By the fall of that year, Afghan security officials said they had clear evidence that Iran was training Taliban fighters within its borders. Tehran now operates at least four Taliban training camps, according to Afghan officials and Mr. Abdullah, the Taliban commander. They are in the Iranian cities of Tehran, Mashhad and Zahedan and in the province of Kerman. One of the main points of contact between Tehran and the insurgency is head of the Taliban’s Qatar-based political office, Tayeb Agha, Afghan and foreign officials said. His most recent trip to Iran was in mid-May, the insurgent group said. The Taliban deny they receive support from Iran or any other foreign country, but say they want good relations with Afghanistan’s neighbors. Iran’s backing of the Taliban has a strategic rationale. Tehran is already battling Islamic State, also known as Daesh, in Syria and Iraq, and it is wary of a new front line emerging close to its eastern border, Afghan officials say. “Iran seeks to counter Daesh with the Taliban,” said an Afghan security official. For the Taliban, Islamic State militants represent a threat of a different kind: they are competitors. Since an offshoot of Islamic State announced plans to expand in Afghanistan and Pakistan earlier this year, the new group has been actively recruiting fighters, many of whom are disaffected Taliban, say residents and Afghan officials. The lifting of economic sanctions on Iran will open “massive trade” opportunities for Pakistan and could effectively transform the energy markets of South Asia by paving the way for a long-awaited gas pipeline across the Iran-Pakistan border, a top Pakistani diplomat said Friday, expressing his nation’s deep hope that the Obama administration’s nuclear deal with Tehran goes into effect as soon as possible. Syed Tariq Fatemi, special assistant to Pakistani Prime Minister Nawaz Sharif, said his country is being “mindful” not to take action until U.N. sanctions officially lifted, but he asserted that Islamabad is already in constant communication with Iranian authorities about the prospects for the stalled pipeline, as well as other avenues for growing commercial ties between the two nations who share a 560-mile border. In a wide-ranging chat with reporters at the Pakistani Embassy in Washington, Mr. Fatemi said that after a decade of internal turmoil, Pakistan is on a path toward stability and democratic transformation — and increased trade is essential to the goal of weening the nation’s economy off of handouts from the U.S. and other international powers. Pakistan’s hopes are just one sign of the wide-ranging implications of the nuclear deal negotiated by the Obama administration and five international partners with Iran, which may quickly lead to an end to punishing economic and financial restrictions on the Iranian economy. The “Iran-Pakistan Gas Pipeline Project,” he said, could ease crippling power shortages that plague Pakistan, where blackouts combined with an intense heat wave killed more than 1,000 people during recent months. “Iran’s coming into out into the mainstream of international politics will [also] be a positive development,” said Mr. Fatemi, who played down the idea that closer ties between Islamabad and Tehran might anger Arab powers in the Middle East who have expressed discontent over the Iran nuclear deal. The Parachinar sectarian massacre appears to be part of the ongoing Iran-Saudi proxy war in Pakistan. Both are using using Pakistani citizens to advance their agendas. Reuters reported that a Shiite unit of Pakistani fighters known as the Zeinabiyoun were joining the war against Islamic State in Syria. Many come from Parachinar, which has a large Shiite population, unusual in Sunni-majority Pakistan. Saudi Arabia severed relations with Iran on Sunday amid the furor that erupted over the execution by the Saudi authorities of a prominent Shiite cleric. Foreign Minister Adel al-Jubair told reporters in Riyadh that the Iranian ambassador in Tehran had been given 48 hours to leave the country, citing concerns that Tehran’s Shiite government was undermining the security of the Sunni kingdom. Saudi Arabian diplomats had already departed Iran after angry mobs trashed and burned the Saudi embassy in Tehran overnight Saturday, in response to the execution of Sheikh Nimr Baqr al-Nimr earlier in the day. Iran’s Supreme Leader warned on Sunday that there would be divine retribution for Saudi Arabia’s rulers after the execution of a renowned Shiite cleric, sustaining the soaring regional tensions that erupted in the wake of the killing. The warning came hours after crowds of protesters stormed and torched the Saudi embassy in Tehran to vent their anger at the execution of Nimr Baqr al-Nimr, who was among 47 people put to death in the kingdom on Saturday. International human rights groups believe that Iran executed over 1,000 people last year - well above the 2014 tally - including preachers and activists from the Islamic Republic’s Sunni minority. Reports indicate that Iranian authorities put to death more than 753 people in the first half of 2015 – an average of four executions a day. The London-based rights group added that Iranian authorities only reveal a certain number of judicial executions, while the real number of those executed far exceeds the official count. Ahmed Shaheed, the United Nations Special Rapporteur on Iran, stated in late October that Iran had put to death a “shocking” 753 people during 2014. “Iran continues to execute more individuals per capita than any other country in the world,” he added. Amnesty, meanwhile, put the figure at 649. Abolhassan Bani-Sadr was the first president of the Islamic Republic of Iran after the 1979 revolution. He answered these questions for The WorldPost by email from Paris, where he lives in exile. The Shia-Sunni clash that was being conducted through proxy wars from Yemen to Syria to Iraq is now out in the open. Do you believe the Saudi execution of Sheikh Nimr al-Nimr was a deliberate provocation? To what end? Was it, perhaps, an effort to provoke Iran into actions that would undermine the nuclear accord with the U.S. and other world powers? - Both countries have turned the U.S. government into the central pivot of their domestic and international policies. - Power has become the goal of both regimes, and violence has become the means for achieving it. Both actions and reactions which take place within this domain inevitably become violent. - Both regimes are dictatorial and thus standing on one leg, which is a combination of armed forces and oil income. - Both regimes have exploited religion in order to legitimize and justify their actions. Religion is thus also used to serve the interests of power. - Both countries have religious minorities (Sunnis in Iran and Shias in Saudi Arabia), and both are discriminating against them. - Both regimes need crisis as a fish needs water, and hence see their existence only through creating crisis. - Both regimes have terror organizations and are supporting armed organizations in the region. - As these regimes have formed alliances with regional and international powers, when in confrontation with each other their actions force the world powers, whose protection they are under, to join the struggle on one side. - It uses religion as a cover for a power struggle, and to incite the Sunni Muslims to support the Saudi regime. - It forces the Iranian regime to react violently. The Saudi regime was certain that in such a closed circuit of violence, the Iranian regime would react in such a way. - The U.S. and European countries see no option for themselves but to support the Saudi regime. - Saudi Arabia opposes the Vienna nuclear agreement. This is partly because the agreement has made it possible for the Iranian regime to openly intervene in Syria, Iraq, Yemen and so on. The Saudi regime argues that the Iranian regime has no right to interfere in the affairs of Arab countries. Saudi Arabia is right about this. However, just because these countries are Arab, it does not give the Saudi regime permission to destroy and massacre the people of these countries through direct or indirect intervention. - Economic war is a main goal of Saudi Arabia. The people of oil-producing countries can see that it is the Saudi regime which caused the collapse of oil prices. The regime cannot justify its action, so the only way to justify it is to push back against the Iranian regime. One Saudi leader recently stated that they would do something which would turn Iranians into beggars in Saudi cities. Unfortunately, the Saudi leaders completely fail to understand that the way out of the crisis is through friendship, cooperation and development. Is the official Iranian response so far justified? What should it be? The relationship between Arabs and Persians has always been a source of controversy, not only owing to the contemporary power struggle in the region, but also because of a long history of rivalry that formed an integral part of the national psyche of both people. Iranian intellectual Sadek Zibakalam provides deep insight into the different levels of this enduring animosity. “I think the majority of Iranians of all types hate Arabs, and I believe they hate us, too,” Sadek Zibakalam, who is also a professor at the University of Tehran, said in an interview with the Iranian weekly Sobh Azade. Zibakalam said there is a link between racism and a lack of education, and pointed out that this is the case in Europe, where people who express hatred against Jews or Muslims or foreigners are mostly uneducated. However, the situation tends to be different in Iran. “The phenomenon of hating Arabs is very common among intellectuals in Iran,” he said. He added that religious people also frequently express their resentment of Arabs, which usually comes in the form of curses directed at Sunnis. This hatred, Zibakalam argued, is not the product of the current hegemony conflict in the region, as many people might suspect, but has its roots in history. “Persians will never forget their defeat at the hands of Arabs in the Battle of Qadisiya 1,400 years ago. It is as if a fire keeps seething under the ashes and is waiting for the right moment to explode,” he said. Iran’s attempts to gain supremacy in the region are not triggered by political ambition as much as by a racist drive that pushes Iranians to prove they are superior, the professor said. He cited the example of the U.A.E., which many Iranians, politicians and clergy derides in their statements. “They would say that if Iranians just blow some air across the Persian Gulf, they would wipe the U.A.E off the map,” he said. When asked whether the stance of the people is similar to that of the government as far as hatred of Arabs is concerned, Zibakalam replied in the affirmative. He added that Iranians also criticize their compatriots who travel to Arab countries. For example, they always ask why they would go and spend their money in Arab countries, while they never do the same with Turkey, where huge numbers of Iranians go. “This even applies to religious trips to the Arab world, while if Mecca or Karbala were in Turkey or Malaysia, Iranians would not have a problem with people going there,” Zibakalam said. He added that Persian racism against Arabs becomes very clear in language, and that the establishment of the Persian Language Institute was intended to carry out a plan to remove Arabic words from the Persian language. Zibakalam also admitted that this “racism” for which Iranians are known is not practiced against Arabs only, but also against other non-Persian ethnicities inside Iran. That same goes for other groups, such as Kurds and the Baluchi, he added. Zibakalam was born in 1948 to a Shiite family in Tehran and obtained his Ph.D. in political science from the University of Bradford in the U.K. He is currently a member of the Scientific Association at Tehran University. Zibakalam was a critic of the Shah and a supporter of former Prime Minister Mohamed Mossadeq. He was sent to jail for two years during the Shah’s reign. After the 1979 Islamic Revolution, Zebakalam held several government positions and played a major role in the Iranian Cultural Revolution, in which academics who did not toe the line of the new republic were dismissed. He, however, expressed his regret for taking part in the revolution and issued a direct apology. One of the things known about Zebakalam is that he has never belonged to any party, and that he criticizes both conservatives and reformists. He is also said to be close to former Iranian President Akbar Hashemi Rafsanjani. Maysam Behravesh: How do you think the nuclear deal will affect Iran’s regional policy? Will it become more assertive and aggressive or moderate and restrained? Sadegh Zibakalam: I am not sure about this to be frank, because ordinary people do not have a strong say in foreign policy making, particularly in places like Syria and Yemen. It is possible that once Iran feels powerful, it may adopt a more assertive position towards Saudi Arabia, but it is also possible that common sense prevails and the authorities extend an olive branch to the Saudis despite the fact our relations with the United States are entering a thaw. Tehran may invite Riyadh to engage in cooperation with the purpose of resolving the crisis in Yemen or in Iraq. In other words, though Iranians may now be feeling stronger than before, common sense may incline them to extend a hand of friendship to Saudi Arabia. They can make friendly gestures like declaring that Ayatollah Akbar Hashemi Rafsanjani, or president Hassan Rouhani or foreign minister Javad Zarif would like to pay a visit to King Salman. Why do the Arab states in the region, not least Saudi Arabia, oppose Iran’s efforts to improve bilateral relations? After all the Rouhani administration has been going to great lengths to mend fences with Riyadh. Like many others, the Saudis were waiting for the outcome of the nuclear negotiations. That is, they wanted to see if Iran arrives at an agreement with the United States or not. So in a sense, the Saudi disdain for Rouhani’s olive branch has partly been due to their uncertainty about the results of the nuclear talks. But now that the accord has been clinched, the Saudis may welcome those gestures and efforts to improve bilateral relations. Another significant point is that relations depend on whether Iran will strike a triumphalist tone and approach Saudis from the position of superiority, or exhibit an amicable gesture and approach them from the position of friendship. Part of the Saudi refusal to embrace Rouhani’s olive branch goes back to their probable perception that Iran has perhaps been approaching them in a triumphalist manner, as a victor, implying that we brought you to your knees in Syria and kept Bashar al-Assad in power, or we managed to bring 90% of Yemen under the control of our proxies. Therefore, if Iran extends an olive branch from a position of superiority and supremacy, it is natural that it will be turned down. I think these friendly efforts can come to fruition only when we make it clear that we want to work in concert with them to resolve the situation in Yemen, that it is not about victory or triumph of one side over the other, that no side has been defeated, and that we just want to restore stability and security to Yemen with your assistance. Maysam Behravesh: How do you think the state will use the financial resources released after the removal of sanctions? Sadegh Zibakalam: I think part of these funds will be invested in the domestic economy and infrastructural projects. Part of it will cover our expenses in Syria, Lebanon and Yemen. And finally, given that we have a state economy, part of it will be squandered here and there. In fact, it has always been the case that when we reap some huge fortune and revenues, it prompts corruption in its wake. We saw this even under the Shah before the 1979 revolution, particularly during the seventies when the price of oil quadrupled, as it did during the presidency of Mahmoud Ahmadinejad when oil prices exceeded $100 a barrel. So, I believe part of it will be wasted in spite of all the regulations, supervisions and inspections in place. Persian and Arab bourgeois nationalism has paved the way for racism and disregard of a rich and diverse common past. The history of both Persian and Arab bourgeois nationalism is solidly predicated on a sustained genealogy of racist bigotry, partaking in its European prototype. Today the legitimate criticism of the Islamic republic easily degenerates into a nasty Islamophobia among a wide spectrum of Iranian bourgeois liberalism that fancies itself "secular". There is a very brittle and porous line between that Islamophobia and a rabid anti-Arab racism, astonishingly shared by a significant portion of the selfsame constituency for whom a delusional notion of "Cyrus the Great" is the ahistorical panacea of an entire history of imperial nostalgia. This racism is not limited to the history of Islamic republic and extends well into the Pahlavi period and before it to the Qajar dynasty, when leading Iranian intellectuals ranging from Mirza Aqa Khan Kermani coming down to Sadeq Hedayat, harboured the most pernicious anti-Arab racism. They categorically attributed what they thought was Iranian backwardness to Islam, Islam to Arabs, Arabs to fanaticism and stupidity and thus began ludicrously to celebrate a lopsided reading of the pre-Islamic Iranian history that was informed mostly by the figment of their perturbed imagination. "An Arab-Iranian poet and human rights activist, Hashem Shaabani," according to a report published on Al Jazeera, "has been executed for being an 'enemy of God' and threatening national security". The report further added that, "The Islamic Revolutionary Tribunal [had] found Shaabani and 13 other people guilty of 'waging war on God' and spreading 'corruption on earth'." These are standard, now almost cliche, charges based on Shia jurisprudence that the judiciary branch of the Islamic Republic has regularly brought against people they consider a threat to their state security. In this particular case, Hashem Shaabani and his fellow defendants were charged with "separatist terrorism". In a follow-up report, Huffington Post identified Shaabani as "a member of the Arabic-speaking Ahvazis ethnic minority". Much confusion and disinformation cloud the circumstances in which such atrocious violations of civil liberties are perpetrated in Iran and much of its violent neighbourhood. I was born and raised in the city of Ahvaz. The term "Arabic-speaking Ahvazi ethnic minority" is a misnomer. Ahvaz is a major cosmopolitan city in southern Iran, the capital of the oil-rich Khuzestan province, which has attracted labour migrants from all over the country. The nature of urbanisation and labour migration in Ahvaz and other major Iranian cities has created a mosaic of ethnicised communities brought together by the force and necessity of labour and not by the delusional fantasies of bourgeois nationalism of one sort or another. My own father came to Ahvaz from Bushehr as a labourer for the Iranian national railroad and my mother's family from Dezful. Neither of them were Arabs. From Azerbaijan and Khorasan in the north to Isfahan and Yazd in the centre and down to the coastal regions of the Gulf, labour migrants regularly come to Ahvaz in search of work. As the capital of Khuzestan, Ahvaz belongs to all of them, and as such the term "Arabic-speaking Ahvazis ethnic minority" is categorically flawed. Nawaz Sharif has a tough balancing act in the Iran-Saudi conflict. Saudi Arabia hosts millions of Pakistani workers who send billions of dollars home that help Pak economy. Sharif did not decline an invite to the Riyadh conference. We know Saudis and Emiratis were very angry when Pakistan turned down participation in Yemen conflict. Iran is a neighbor with whom Pakistan wants to maintain friendly relations. A prominent role for Nawaz Sharif at this summit would not be welcome by either Iran or others who oppose Saudis and support Iran. I think it's going to continue to be a challenge for Pakistan to stay out of the Saudi-Iran regional conflict without upsetting either side. Who Killed Sabeen Mahmud? Why? Can Indian Economy Survive Without Western Money? India's New GDP Figures: Modi Takes BS Seriously!